In June 2016, Amos Browne shared a detailed blog post recapping his basic spelt saison recipe and brewing process. 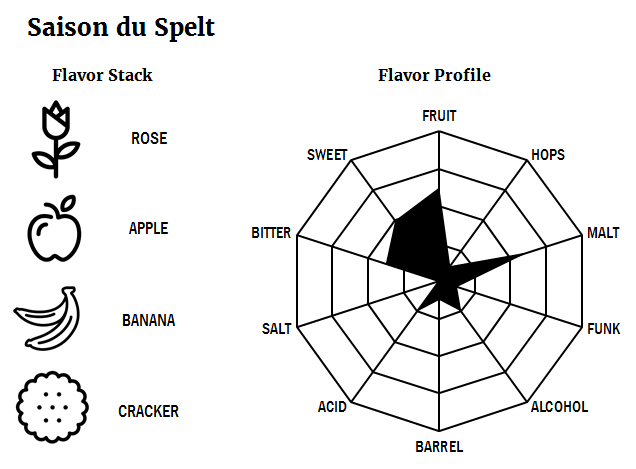 Browne’s version was originally derived from the Blaugies Saison d’Epeautre recipe in Farmhouse Ales, with minor changes and/or additions over 10+ brewing iterations. 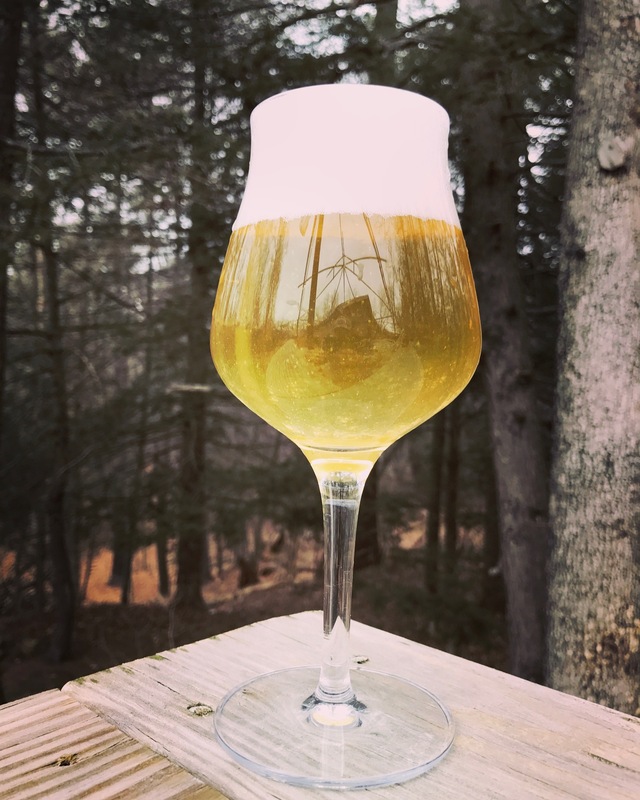 The finished product is a “dry, bitter, hoppy beer with a reasonably low ABV”. Having never performed a cereal mash, much less brewed with unmalted (raw) spelt, I jumped into a bit of my own research. Unlike most brewing grains, raw grains cannot undergo a simple infusion mash. These raw grains lack the enzymes and soluble starches required for saccharification. The purpose of a cereal mash is to break down starch granules in raw grain versions of corn, rice, barley, wheat, oats, rye, and spelt (among others). This process, called gelatinization, allows mash enzymes to access the raw grain starches for saccharification. Gelatinization temperatures vary depending on grain, but most fall within 120-150°F. Spelt is no exception; its gelatinization temperature ranges from 134-156°F, and peaks at 144°F. Crush unmalted spelt into the consistency of grits to maximize grain surface area for gelatinization (and later, saccharification). Add 20% of the (crushed) total malted grain bill to spelt grist to provide enzymes for saccharification. Add water at 2-3 qt/lb (starch to water) for a simple infusion. Heat to gelatinization target temperature (144°F) and hold for 10 minutes to breakdown starch granules. Bring to boil, stirring frequently to prevent scorching. Boil for 30 minutes or until sloppy gelatin goo mess. Cool and/or add to main mash. Every resource I found recommended boiling the cereal mash (step #5) but I honestly don’t know why. The spelt has already undergone gelatinization in step #4. Raising the cereal mash temperature to boiling will only denature the enzymes and stop saccharification – which will be achieved for a second time in the main mash. I was not able to find any information detailing the need or origin of the boil step however Derek Dellinger of Bear Flavored (and more recently, Kent Falls Brewing) shares a similar sentiment regarding the need for an extended cereal mash boil. Perhaps it is conceivable that Belgian brewers treated the cereal mash as an entirely separate infusion mash to avoid occupying valuable mash tun capacity (and the subsequent 19th century tax laws)? Saison du Spelt was the first recipe brewed on my 1-gallon stove-top system. A future blog post will highlight the new pilot system, but the rationale behind the stove-top batch is to increase throughput. It’s far more desired to brew ten 1-gallon experimental batches instead of one 10-gallon batch. On brew day I followed Browne’s process nearly identically, even incorporating his recommended 113°F – 131°F – 145°F – 154°F – 168°F step infusion mash regime (details for each step are highlighted in August’s What is Step Mashing? Reviving a Forgotten Technique article). Despite the learning curve of a new brewing system and the kinks that I will inevitably work out, I was happy with the brew day and even happier once I opened the first bottle. Appearance – As soon as the crown is removed, the beer anxiously creeps out of the bottle. In the glass, a foggy (but not hazy) golden-yellow glow is quickly upstaged by a sudsy, bright white head and lively carbonation. Smell – A subtle, yet intriguing, floral aroma reminiscent of fresh cut roses complements the vibrant appearance. Taste – Nuanced Granny Smith Apple skin is balanced with familiar notes of mild banana, peppercorn, lemon, and orange pith. There is also a unmistakable flavor of Ritz Cracker – likely contributed by the spelt. Mouthfeel – The high carbonation lends to a crisp, dry beer without persistent thinness. Without a doubt, the excellent mouthfeel is due to a combination of spelt and mash regimine. Overall – I am impressed with the drinkability of this beer, especially its light body and crispness. It reminds me of the blend between American Light Lager and Sparkling White Wine. This recipe would provide a great canvas for dry hopping, particularly Australian or New Zealand varietals! Changes for Next Time – I definitely plan to rebrew this beer in 2017. One interesting recipe variation would include a mild dry hop, along the lines of what Browne recommends (0.25 oz/gal). Alternatively, blending in some apple-y Sauvignon Blanc wine (such as Benzinger North Coast) would be a nice complement to the already fruit-forward taste and perhaps add some minerality. Notes: Brewed solo on 10/15/2016 viathe 1-gallon pilot system. Added 4 oz pilsner to 9.7 oz spelt. Heated 6.75 cups of water and added to the spelt/pilsner grist. Heated to 144°F, stirring frequently. Turned off heat and let gelatinize for 10 minutes. Raised to boil and held for 30 minutes, stirring constantly. 10/16/2016 – Krausen visable at 9:25pm. 12/10/2016 – Primed to 3 volumes using dextrose. Packaged in 375ml bottles. 1/14/2017 – Enjoyed the first bottle! Think I can answer your question. Le Corvaisier wrote a paper back in the day on gelatizination temperatures and stated though wheat gelatinizeses at 60c he found small small ungelatinized granules at 85c. This got written up in “A Textbook of Brewing” by Jean De Clerck who was a consultant in a lot of the breweries in Belgium.